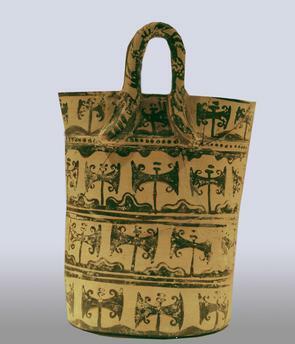 Late Minoan I, 17th–15th century BC. Basket shaped container with painted double axes on four tiers. Clay, painted, height 19.6cm, diameter of base 10.5–11.2cm.